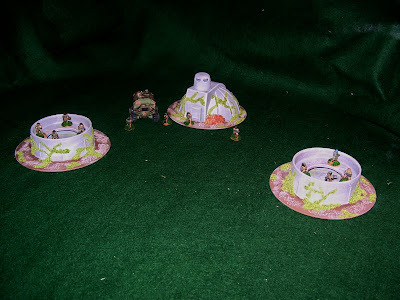 Only just started June and already I've managed to find time to get 3 15mm Sci-Fi buildings finished. These should go well in our ongoing games. The round fortifications are made from the ends of rolls of drawing paper. 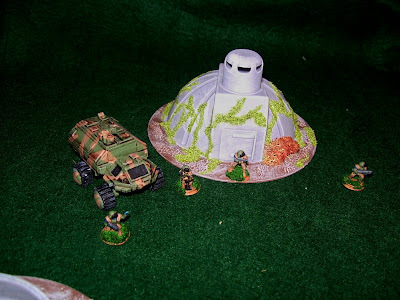 The Dome building was a piece of scrap plastic I picked up. 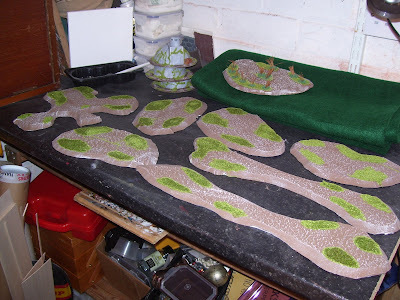 These are the partly finished islands for the next of the campaign games for Wargods. This is what the finished islands should look like. Then it's just a case of making the bridges to go between them. It's all coming together nicely, Steve. 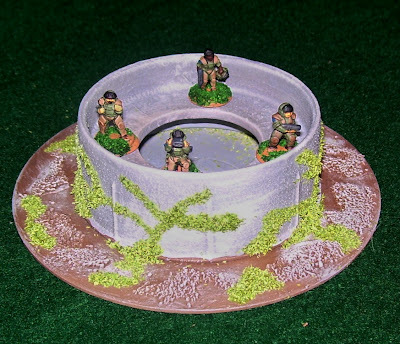 I particularly like the 15mm bunkers and I am looking forward to blowing them up. Have you built damaged versions yet? 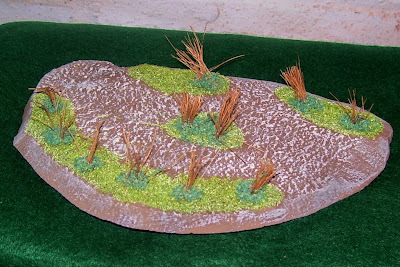 I've started work on the damaged version of the bunker. Hopefully I shall have a photo up soon.